“In a 2014 decision by the Court of Justice of the European Union, a Spanish lawyer was granted the right to have a previous brush with justice deleted from Google search on his name. “While protection of one’s privacy is an essential right, erasing public records could have untold consequences. “Could this decision jeopardize the reliability of the Internet and make research by journalists and historians impossible? 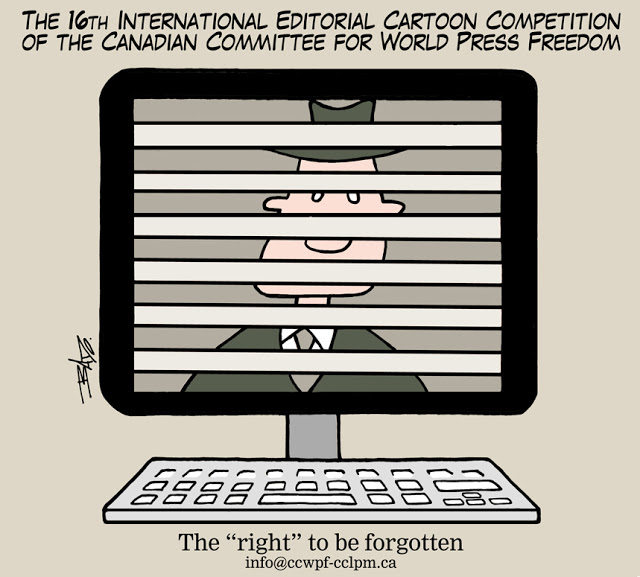 The competition, in its 16th year, is organized by the Canadian Committee for World Press Freedom. Contest regulations and prize information can be found at Guy Badeaux’s blog.